This little bag is another delightful example of silk applied patchwork. Patchwork quilted triangles on one side, and squares on the other, with embroidered rosettes, stars, and quatrefoils. 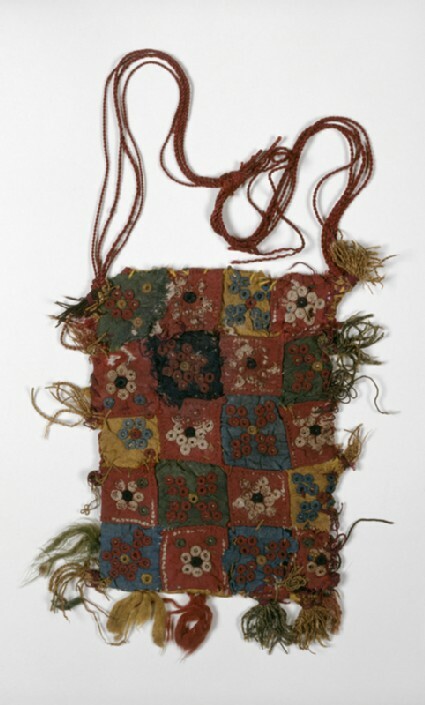 A small bag (amulet bag?) 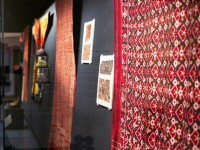 is sewn in patchwork over a linen base, with red, yellow, and green tassles and a red string for holding. The patches are probably held together by back stitch.